For something a little different, why not try Llama Trekking with the Golden Valley Llamas herd. 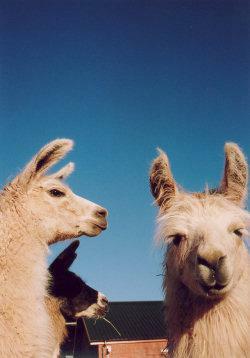 There are Llama treks in the Black Mountains of Wales as well as in Herefordshire. Seeing the Llamas gently grazing in the fields is hugely rewarding. There are half day Llama trekking experiences. Children and adults will love a morning with the Llamas. Here you will get to meet, groom, halter and walk with these incredible animals. As you are able to gradually gain the Llamas trust and learn to relate to each Llama’s different personality it becomes an almost spiritual experience. It is a privilege to interact with these animals and with nature. This is a great escape from city life and the countryside is healing in its own way.This is a thoroughly relaxing experience. Robert and Amanda have two cottages that are self-catering where you can stay over if you choose to do that. One visitor mentions getting Amanda’s homemade jam, fresh eggs and having a chocolate cake so this is sure to be a welcoming stay-over. The farmhouse and cottages are built out of local stone. The trek begins in a well ordered line and weaves its way through the Herefordshire countryside. The trail goes through the farm and then heads down to the village. Cars do not scare the Llamas. You can stay in the Cider House or the Shepherd’s hut – imagine waking up in a secluded field with the Llamas all around. The continental breakfast as mentioned, is first class – there is also fresh fruit picked from the trees on the farm It is advisable to take wellingtons to travel around the farm if the weather has been wet. The trek takes about 90 minutes. Allow for three hours with the meeting, grooming, walking and afterwards feeding of the Llamas. The Shepherd’s hut is comfortable and has great views across the local hills. There is a small wood burner in the hut to stay warm in cold weather. The Llamas all have names like – Brodgar, Silbury and Stennes. If you love animals and walking this is a perfect place to be. The hair from the Llamas can get made into a rug by hand. Llamas are not ridden – they are pack animals that can carry up to about thirty kilograms on their backs. These aloof and graceful animals will encourage your affection. Day visitors do need to visit by prior arrangement.